FUKUSHIMA - For the first time since the nuclear crisis began, the evacuated town of Futaba, Fukushima Prefecture, like elsewhere around the country, held opening ceremonies for schools and kindergartens on Monday — albeit at a new location in the neighboring city of Iwaki. Until Monday, the schools from Futaba, which cohosts the stricken Fukushima No. 1 nuclear plant, had been closed because of radioactive contamination from the reactor meltdowns of March 2011. It was the last of the evacuated municipalities in the area to reopen its schools. Futaba’s entire population fled during the disaster and its municipal office has moved several times. Last July, however, its new town hall opened in the city of Iwaki, where Monday’s opening ceremonies included Futaba Kindergarten, the town’s two elementary schools and the municipal junior high school. In May 2010, there were 681 students enrolled in the four schools. Three years on from the disaster, however, one child is enrolled in the kindergarten, four in the elementary schools and six at the junior high school. All hold classes at rented facilities in Iwaki. 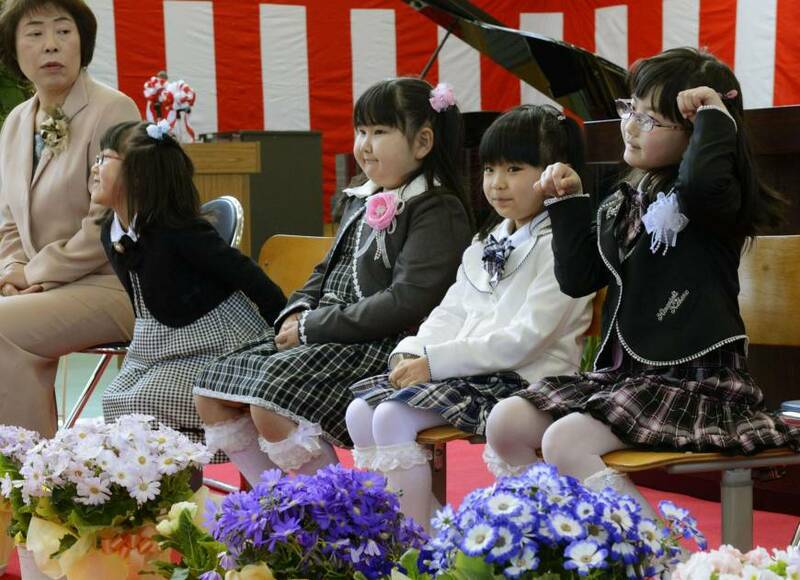 Meanwhile, four new students attended the opening ceremony for Furumichi Elementary School in Miyakoji — the first district in the city of Tamura to have its evacuation advisory lifted since the disaster. The advisory was lifted on April 1.